July 24, 2011 - Garmin announced a full schedule of daily seminars for Oshkosh attendees. The highlight for this years’ seminar schedule is a special “Innovators in Aviation” speaker series, featuring an impressive list of presenters including famous airplane designer and engineer, Burt Rutan. Seminars will take place daily in Garmin’s Seminar Tent at EAA AirVenture in Oshkosh, Wis., July 25-30, 2011. Garmin product seminars, presented by Garmin product experts, begin each day at 9:30 a.m. 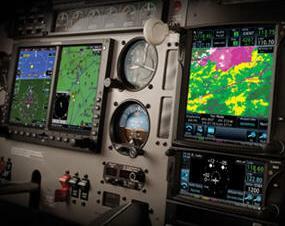 Sessions will focus on the features and operation of Garmin's latest generation of avionics and portable products including the GTN 650/750 touchscreen avionics, G600/G500 flight displays, GTS 800 series traffic systems, ADS-B, portable GPS and more. The “Innovators in Aviation” series will take place at 2 p.m. daily (excluding Sunday) and features a different guest speaker each day. One highly anticipated speaker of the week is Burt Rutan. Named “Entrepreneur of the Year” by Inc. magazine and described by Newsweek as “the man responsible for more innovations in modern aviation than any living engineer,” Rutan is a bold entrepreneur and designer with the vision and passion for the advancement of technology. In 2004, he made international headlines as the designer of SpaceShipOne, the world’s first privately built manned spacecraft to reach space. Rutan also designed the Voyager, the first aircraft to circle the world non-stop without refueling, and has recently worked to develop and produce commercial spaceships for flying the public. In this special round table on Friday, July 29, attendees can engage in a Q&A and personal discussion with Rutan about his success and experiences. Mike Melvill’s presentation of “Around the World in a Long-EZ” is another one that Oshkosh patrons won’t want to miss. Melvill is best known as the first commercial astronaut who piloted SpaceShipOne on its first flight past the edge of space. In 1997, Melville began his journey flying around the world in a Long-EZ. Starting at Sun ‘n Fun in Lakeland, Fla., he flew 38,000 miles to places like Grenada, Brazil, South Africa, Australia, Ecuador, the Galapagos Islands and Mexico. In this special event, Melvill will describe his 81-day adventure and take questions from the audience. Other guest speakers throughout the week include RS Warbirds presenting “Garmin-equipped Shorts Tucano – First to fly in the U.S.”, Elliot Seguin of Scaled Composites with “Race Planes & Rocket Ships – My Dream Jobs” and “Mojave – Where it Happens” and Bob Morgan of Scaled Composites who will be presenting “Aircraft Development for Space Tourism”. All seminars are free and open to the public on a space available basis.